Out of the classroom and fix your ice skates. Why don’t you let your school sport take place at the ice sport center? Lessons at the ice hall are great fun! 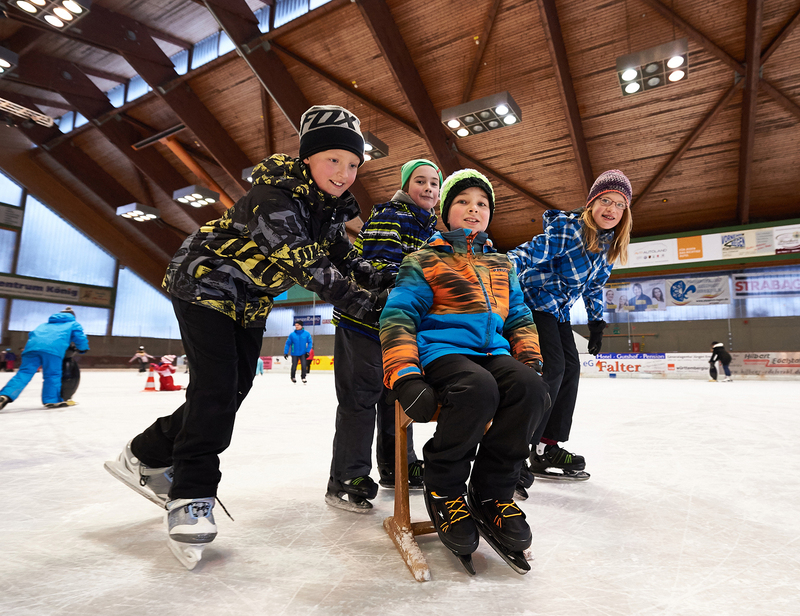 Whether it is ice skating or ice hockey, at special times the ice hall Regen gives children from Kindergarten and school the possibility to do ice sport and to experience an exciting winter sport morning. Of course we have ice skates in all sizes for rent as well as ice penguins as a skating aid.